An award winning ground remediation specialist. Helps reduce project times, costs & carbon footprint in construction. Ideal for brownfield developments including contaminated land. is an in-situ ground improvement technique. Enhances the characteristics of weak soils by mechanically mixing them with a cementitious binder. Deep Soil Mixing Ltd (DSM) aims to expand the use of soil mixing as a ground improvement method in the UK and around the world. We are becoming renowned for successfully undertaking challenging and difficult soil stabilisation projects that others may not wish to do. We can demonstrate how new soil mixing techniques can transform severely contaminated or poor quality land into commercially viable land that can be developed. Our method of controlled soil mixing provides a host of advantages over other soil stabilisation methods. We are not only able to cut project costs, but also eliminate delays when it comes to construction projects. Soil mixing is also more environmentally friendly, reducing carbon footprint, than most other ground improvement methods. Importantly, there is no need to excavate existing material on site and there is minimum spoil removal. Furthermore, a wider range of soils can be treated compared to other ground remediation solutions. Existing soil is used as construction material and there is no need to bring costly and bulky materials on site thus reducing the number of vehicle movements. UNIQUELY FOCUSED ON SOIL STABILISATION, WE ARE THE UK’S LEADING SOIL MIXING SPECIALISTS. Deep Soil Mixing Ltd’s soil stabilisation solutions involve the mixing of various cementitious and other binders with the soil. These binders are formulated to meet stringent design requirements and tight on-site control and testing. Deep Soil Mixing’s unique technology has assisted on several projects over the last few years from road construction and pipeline installation through to dealing with contaminated and poor quality ground, flood alleviation and slope stabilisation. We provide two types of deep soil mixing including mass mixing, and column mixing. 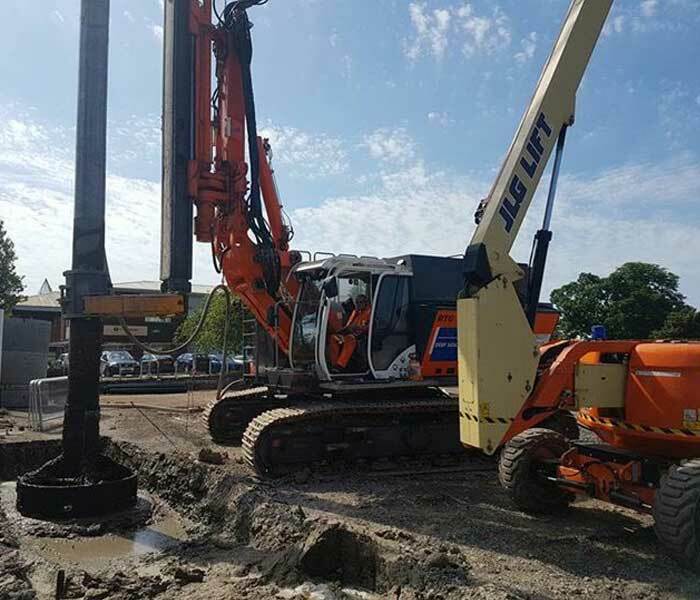 Both systems offer wet and dry soil mixing solutions that are able to tackle some of the most difficult soil conditions, ranging from flood plains and soft soils through to brownfield developments and contaminated land. Our policy is to ensure that soil mixing is carried out correctly and that consistent mixing and results are achieved, providing total confidence that the process can be relied upon.